Could you come to our office? Like, NOW?? You need to smell this, you need to get the goosebumps that we have right now and see the goofy dancing going on. What an absolutely rocking rosé. THE PRICE!! Humans can’t live on red wine alone!! Wow! 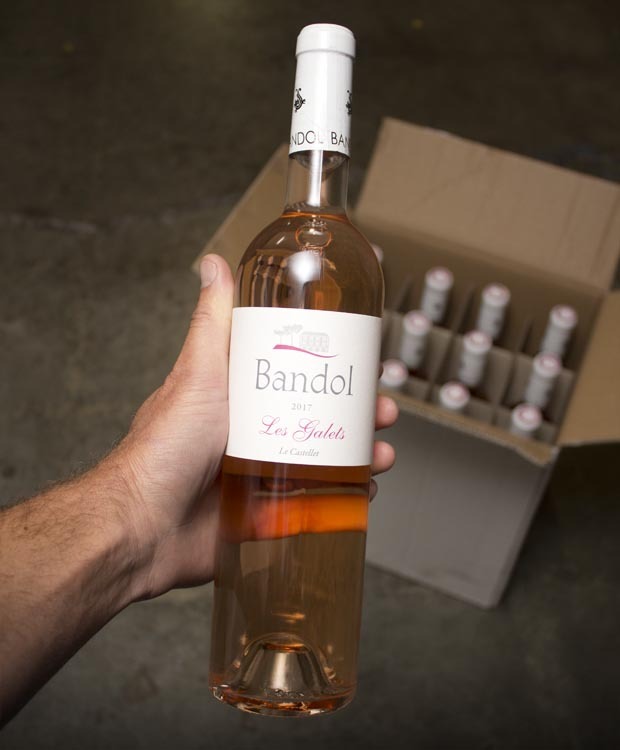 This lovely little creature hails from the mighty Bandol, where the warm temperatures meet the cool sea breezes and make for perfect conditions. 2017 is a tiny vintage, and that usually means prices go UP -- but not today! We got in early!! PLEASE, please make sure to taste the electricity in this wine while it is at a price like this!! BALTER: To dance without particular skill or grace, but with extreme joy. EXACTLY what you will be doing. Baltering. Pure, racy freshness meets crushed rose petals, sweet licorice, a little blood orange, maybe…zippy and happy-making and crazy-easy to gulp (sorry: DRINK) down. SO GOOD! Eye-opening, exhilarating goodness!! Do NOT miss...such a great price! While it lasts…!